#AskAlan mailbag: What would a scratch player shoot at Augusta? And should the Masters expand its field? In this installment of the #AskAlan mailbag, GOLF senior writer Alan Shipnuck fields questions about anything and everything Augusta-related: the course, the Masters field, the players’ chances, and more. It depends on what kind of amateur we’re talking about. 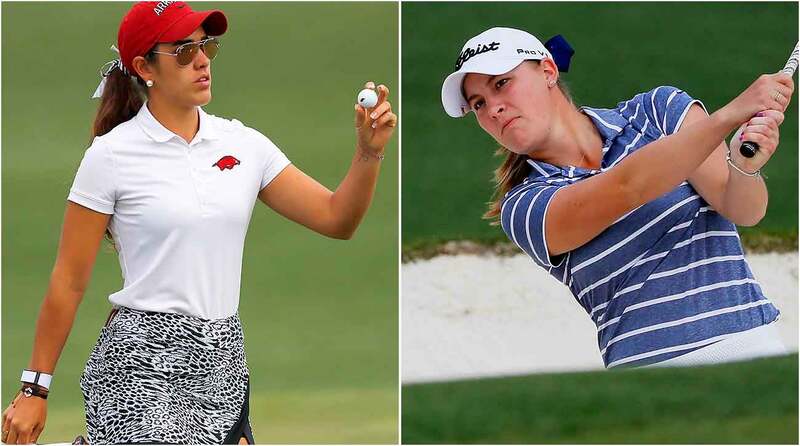 If you’re a top player who is pretty confident in making it to the LPGA, by all means tee it up in Augusta for the once-in-a-lifetime experience. It’s potentially a great way to launch a pro career; both Kupcho and Fassi are now going to make a fortune in endorsements based on one magical day at ANGC. And they’ll have plenty of opportunities to qualify for the Dinah. But if you’re a very-good-but-not-great amateur, playing the Dinah makes more sense. You’re guaranteed two tournament rounds and a bunch of practice days amongst the world’s best players. At the ANWA, all you can bank on is hanging out at Champion’s Retreat. All the dudes at the Masters love to wax about the subtleties of Augusta National, as if it’s some unknowable riddle, but J. Kupcho got exactly one morning of practice and she torched the place, so I don’t want to hear any whining this week. It has to be the Masters, to become only the sixth player to win the career Grand Slam and bury once and for all the collapse in 2011 and subsequent disasters. Rory has a long history at Royal Portrush – witness his course record 61 at the age of 16 – but it’s not the course he grew up playing (a la Graeme McDowell) and being a Northern Irishman is has always made patriotism complicated (witness McIlroy’s discomfort surrounding the 2016 Olympics.) But if Rory does prevail this year at Portrush it will touch off an epic celebration. Hell yes it counts! Next time I jar a tee shot in mini-golf I’m calling it an ace and getting a plaque made. And I’ll take Rickie. He made a stirring run last year and of all the major championship venues Augusta National is the best fit for his freewheeling game. 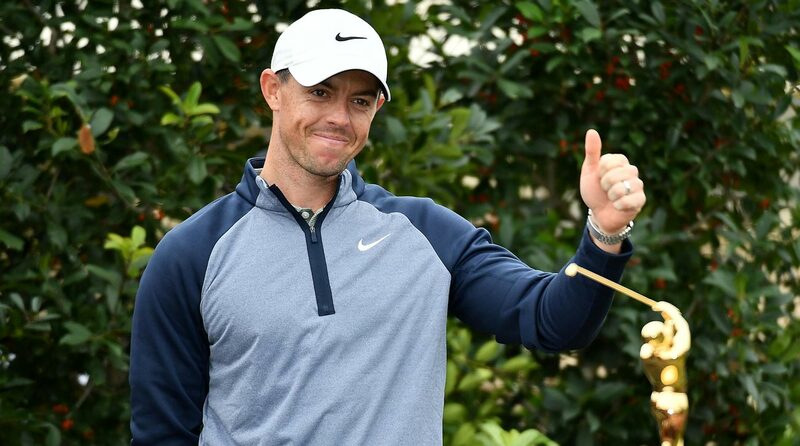 Rory McIlroy leads the way in Masters odds, largely thanks to his Players Championship win. Once a player qualifies for the Masters he is allowed three visits to the club in advance of the tournament. He can bring one guest. Usually the club will serve as a matchmaker with a willing member to serve as host, so the Masters competitor can bring along a second person who counts as the guest of the member. Amateurs are afforded the same access as the pros. I’m not sure if there is a hard rule but the club makes it clear that these interlopers are not to linger – I’ve never heard of a player staying for more than two nights on these visits. The only person who makes even a little sense as a third is Tom Watson. But Jack is not going to want to overstay his welcome. I think he and Player will go out together in the next couple of years, while they’re still relatively spry. That would pave the way for Watson, Ben Crenshaw and Ray Floyd – lots of personality in that crew. They could easily take us to 2030. Then they make way for Fred Couples, Nick Faldo and Bernhard Langer, who get us to 2040. At last, we get what we’re craving: Tiger and Phil trying to outdrive each other. They might hog the stage for two decades, at which point Jordan Spieth will presumably have some options beyond P. Reed. Oh, I’m sure they’d love to have hordes of people camping on Washington Road beginning in December. Fred Ridley is going to get right on that. Is it time for the Masters to consider expanding the field? There has been some talk that there could be a run of the smallest fields for the tournament? This year only 87 players? That’s just how the green jackets do things – they like the tournament to still feel like a cozy little invitational among friends. Sure, it’s irritating when some very good players slip through the cracks. Jim Furyk would have added something to this field, but it’s hard to get too worked up about it; he’s spent the last quarter-century *not* winning the Masters. Sungjae Im would’ve made a fun dark horse, Lucas Glover a local favorite. A healthy Cam Champ would’ve been great fun to watch. But this is part of the club’s evil genius – they don’t want some rando to have the week of his life and steal the tournament. Part of the reason the Masters has such a glittery roll call of winners is exactly because the field is so small. Take away so many good-but-not-great players and they can’t ruin the party. Bottom line: there are many ways to qualify for the Masters and if a player hasn’t done so, it’s on them. All the key competitors are here this week. Why were Kupcho’s back-nine fireworks so instantly legendary? Because she was hitting lumber into 13 and 15! That’s a helluva lot more impressive than chipping an 8-iron. As you suggest, one of the great pleasures of the ANWA was seeing some of the course’s shot values restored. It added to the tension and elevated the appreciation we all felt for the golf that was played. Fred Ridley is reputed to be a traditionalist who understands how much the course has been compromised by Hootie’s reign of terror and the modern power game. Does he have the stomach to introduce a reduced-flight ball? Unless he’s willing to buy another chunk of the town and add 1,500 yards to the current course, that’s the only way to bring back the Mackenzie-Jones vision. Maria Fassi (left) and Jennifer Kupcho (right) had a memorable final-round showdown during the Augusta National Women's Amateur. Watched the 2011 Masters on YouTube today. Can see similar storylines this week. Roles: 2019 Tiger playing 2011 Tiger, Rory as Scott, Bryson as Rory, Spieth as Cabrera, Cantlay as Schwartzel, Schauffele as Day and God willing Reed playing Phil… thoughts? Two thoughts: I love the idea of Jordan puffing cigarettes, a la Pato. And I’ve already had to live through Charl once, please don’t make me write Cantlay, too. Cutting the line? I haven’t been there in decades – I’m not a fan of two-hour waits, middle-aged dudes acting like drunken frat boys and having to scream to be heard by the person sitting next to me. I’ve got some other haunts I’m going to keep secret, and in a pinch I’ll order Outback from the press room, type a bit and then pick it up at the curb and keep going. Masters week is a grind for the scribes, too, with long days hiking the hills of ANGC, deadline pressure, parties and dinners almost every night, midnight schmoozing in the kitchen of our rental houses, and stealth trips to Palmetto and Aiken CC. Gotta conserve energy where you can. Everything about Augusta National is preposterous – the amount of water and fertilizer it consumes, the manpower it demands to maintain, the way it warps the expectations of everyday golfers. Personally, I prefer the more natural aesthetic of all those courses you mention. But as long as we’re going to have green, lush, heavily-manicured golf courses, we might as well have one that is so over-the-top it’s like playing golf inside a painting. That’s what Augusta National feels like to me. Longtime readers know that I have never fully imbibed the Masters Kool-Aid. There are many things about the host club that have and still bother me. It’s the hardest week of the year work-wise, with draconian rules that make every reporter’s job difficult, especially the few of us who are not content to get all of our information from press conferences. The cell phone policy cuts me off from my readers and editors. But come Masters Sunday, all of that goes out the window. It is, quite simply, the most exciting day of the year, and the back-nine remains the sport’s grandest stage. The tension is exquisite, and it’s a thrill to get to document and expand upon the heroics and heartbreak. Dammit Augusta, I just can’t quit you.